If April has been intense, May will maintain this high standard. Malaga port’s figures reflect that a total of 37 ships will berth, bringing around 83.000 passengers to the city. The figure will make the city surpass the barrier of the 250.000 travellers from the high seas in only five months. 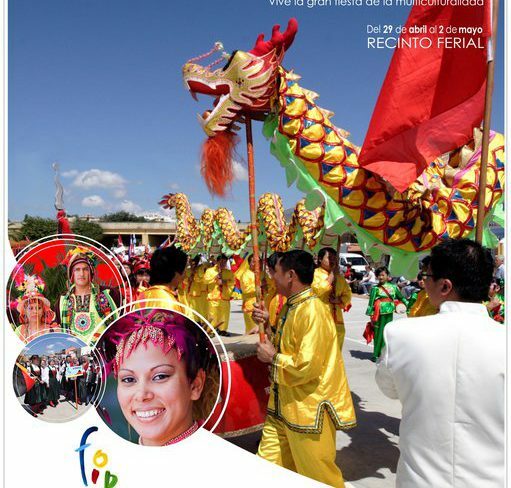 Japanese, Romanian or Norwegian are some of the languages that can already be heard around the Fuengirola fair ground. The delegations from over 30 different countries and regions all over the world are finishing off their preparations for the so called ‘Feria Internacional de los Pueblos’ (FIP) in Fuengirola that this year celebrates its eighteenth birthday and aspires to reedit its usual amount of a million visits during the bank holiday of the 1st of May. Malaga is one of the most touristic provinces in Spain and a very popular place for both Spanish and foreigners. Malaga hotels will help us choose this destination to spend our next holidays or even a weekend escapade because, apart from the sun and beaches, this city stands out for being an ideal destination for urban tourism. The time for a change of wardrobe has finally arrived after the heavy rain of these last few days. It’s finally time to dig out your summer clothes and put your winter clothes away. You can now start feeling the heat, but it’ll mainly be as from tomorrow when the thermometer will start to rise, up to the point that the forecast until the weekend shows a maximum rise from six to eight degrees, until reaching a temperature of 30 degrees. However, on the coast and in Malaga city it won’t be so hot, thanks to the east wind, and the temperatures will range from 25 to 28 degrees. Torremolinos is situated 12kms away from Malaga, forming part of its bay with a coast of almost 7kms, right in the heart of the Costa del Sol. Due to its privileged location between the Malaga bay and the foothills of the Mijas mountains, Torremolinos has a great, typical Mediterranean climate. Torremolinos receives visitors practically 12 months a year. It offers its visitors the opportunity to splash away in the warm waters of the Mediterranean sea. The website of Marbella now offers the ability to check weather conditions in the municipality in real time through a webcam installed in the Marina. From the webcam in the port images are obtained every 14 or 15 seconds, so that information is constantly updated and allows the visitor to the city page to know with accuracy the weather in Marbella. The camera sweeps across the port and thus also allows knowing the sea conditions and mooring of boats. Benalmadena’s port is one of the most beautiful and well-known ports in the whole province of Malaga, so, why not make good use of that outdoor space and turn it into a great exhibition centre? This is the idea that the Benalmadena town hall considered, which is why during this week they will be holding two parallel fairs dedicated to show all the innovations of the nautical world and of the construction and hardware sector.